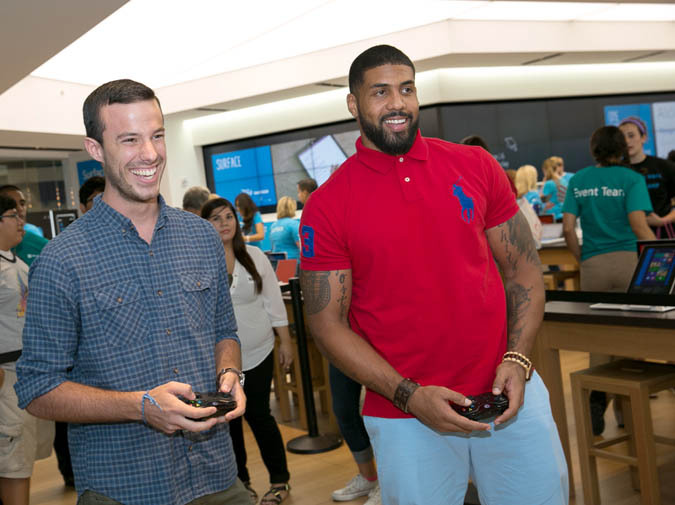 Have you ever wished you could play NBA2K15with an All-Star basketball player or test your Madden skills against an NFL star? 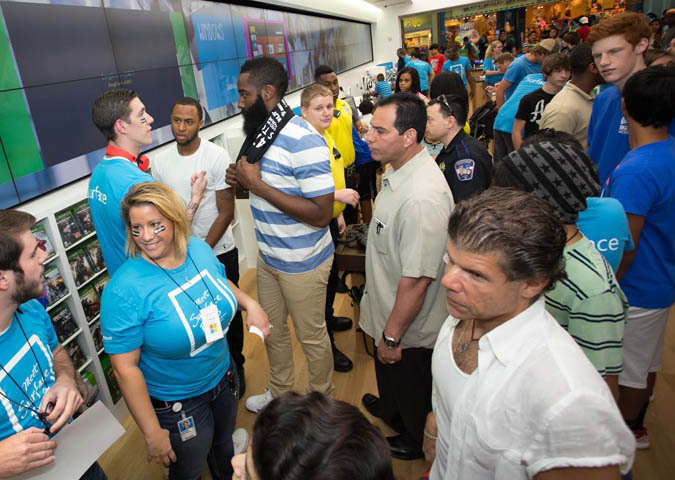 Several lucky people experienced this once-in-a-lifetime opportunity at the grand opening of a new Microsoft Store in the Woodlands, TX. 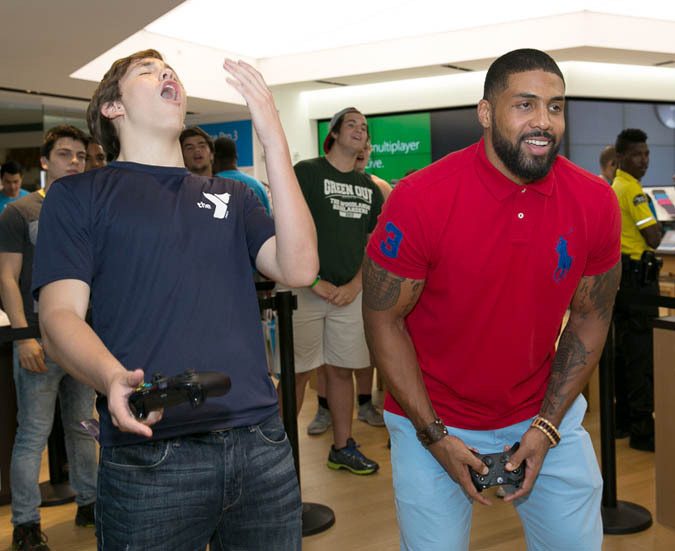 Sports fans packed the Microsoft Store to get a chance to play XBoxOne with Houston Texans running back, Arian Foster and Houston Rockets guard, James Harden. 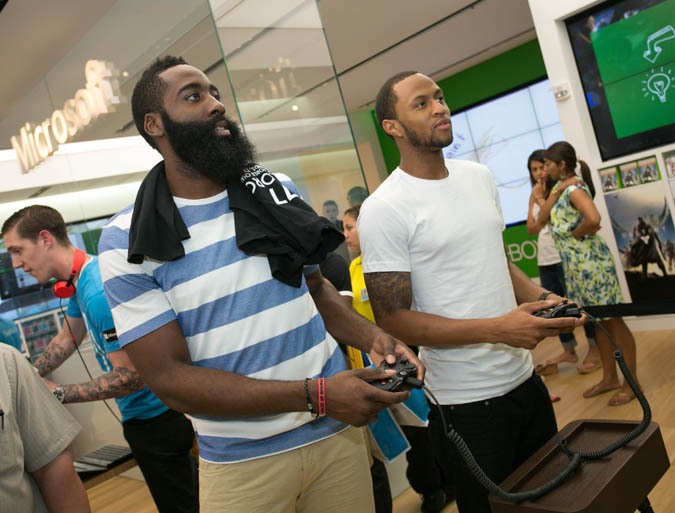 Foster and Harden turned out to be pretty good gamers and they had fun interacting with fans. 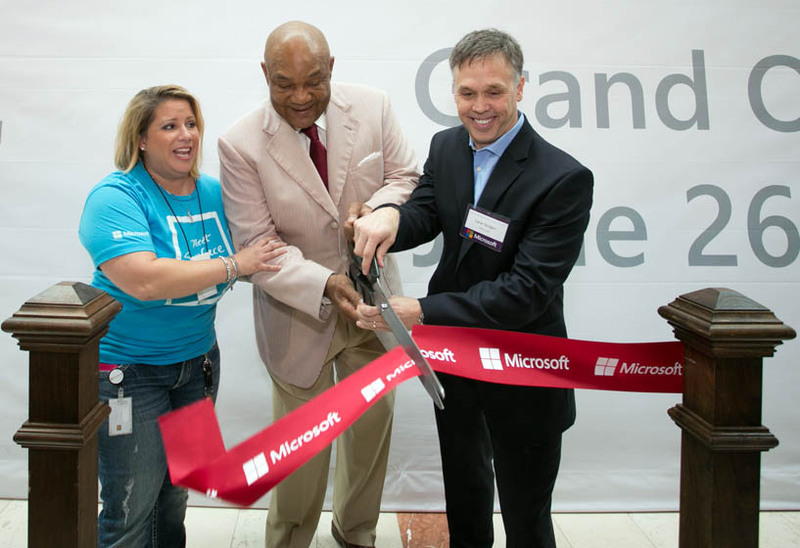 Boxing Heavyweight champ George Foreman even stopped by to join the festivities.